Today is Ash Wednesday, the first day in the Christian calendar where we enter the season of Lent. Lent — perhaps like Advent — is one of my favorite parts of the Christian year. I love the chance to anticipate, to peel back the layers of soul, self, and sin. If practicing the church calendar is something new to you, I encourage you to consider a few small places to start. It’s important that time is marked for us. That we have moments to reflect, to step back, to find our story in the wider story of God. So whether you give up chocolate or sweets, or alcohol and red meat, or something else, as a way to look deeply into our bodily and soul hungers, I pray you’ll take something up too: the practice of silence and stillness, a new practice of prayer or scripture reading. The Passion of the King of Glory: Russ Ramsey retells the last week before Christ’s death. You’ll want to read this familiar story with new eyes. What if? 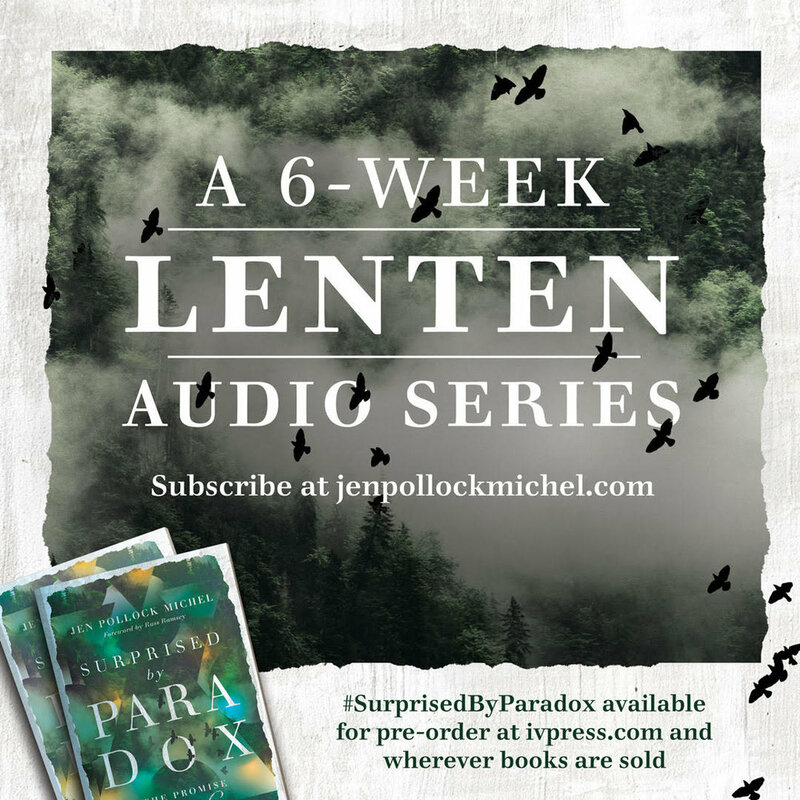 Audio Series: Jen Pollock Michel takes us on an audio series asking: what if paradox is the rule of faith rather than the exception? You can sign up here (and if it piques your interest, be sure to pre-order her book here). 40 Ways to Love your Place: Wherever you live, put being a good neighbor at the forefront of your work in the world during Lent. You can sign up here to get a weekly small starting spot towards loving your neighborhood sent directly to your inbox.